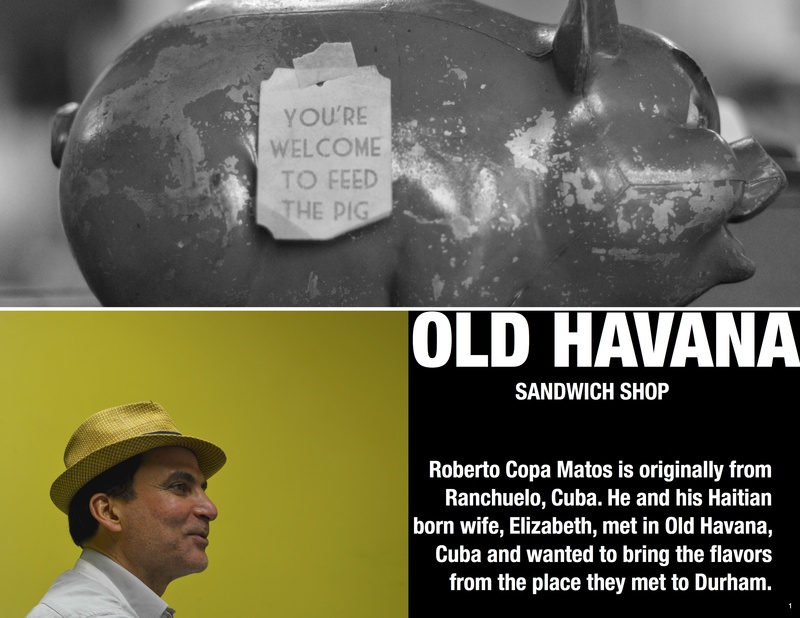 A little while back I finally had a chance to meet and chat with the man behind the highly regarded, Old Havana Sandwich Shop. Cuban native and Durham resident, Roberto Copa Matos, invited me around the counter to a side room where he had a half a dozen pork loins (sourced locally from Green Button Farms) laid out and was preparing them for the curing process. 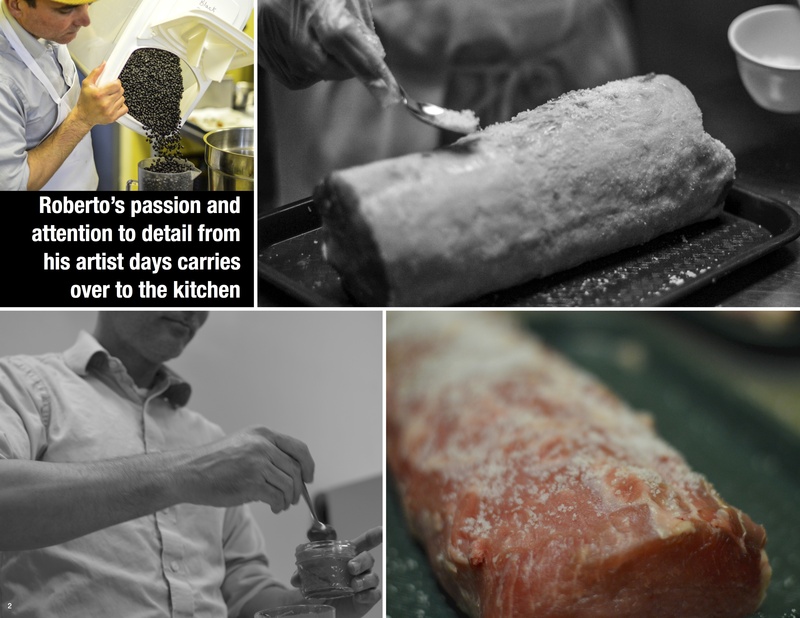 I watched Roberto under a tan fedora,in a light blue collared shirt and white apron as he placed a small ceramic bowl onto a scale and meticulously weighed out salt for each piece of meat. There was an intensity in his face that made me wonder if he would be a difficult person to talk to. Sometimes when meeting someone for the first time to talk about their culinary business, I worry that I am intruding. Here they are trying to operate a busy kitchen and along I come with my camera asking a battery of questions. It did not take long for me to realize, that like most of the people who’s kitchens I have invited myself into, Roberto was excited to talk about cooking, his personal journey from Cuba to the USA, family and how he met the love of his life. In my next post about Old Havana Sandwich Shop I plan to delve into some of those details and share a recipe from the kitchen of Old Havana Sandwich Shop. 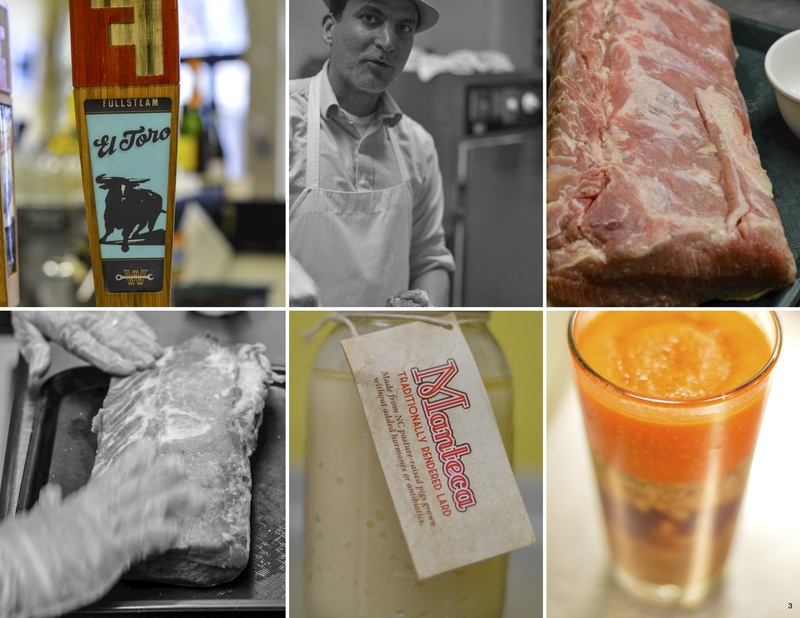 In the meantime, stop in, say “Hi” to Roberto, and enjoy a little Cuba in downtown Durham.